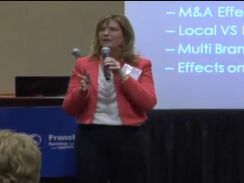 This session is designed to educate franchise executives on thought-provoking strategies for identifying and managing conflicts that arise in the franchise relationship. 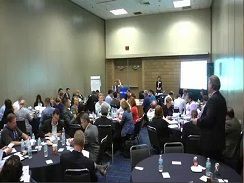 Participants will learn techniques and best practices to navigate negotiations while creating a collaborative environment for the long-term success of all the stakeholders in the franchise system. Behind the fancy job titles, the awards, the TV appearances, and the $1 billion-dollar-business that her company’s service brands do each year, Dina Dwyer-Owens equates all of her success to rooting for the good guys. Ken Walker, CFE, is the retired CEO of Driven Brands Inc., parent company of Meineke Car Care Centers, Maaco Franchising Inc., Econo Lube and Tune Inc., Aero-Colours Inc., AutoQual USA, Drive N’ Style and Tortal.net. 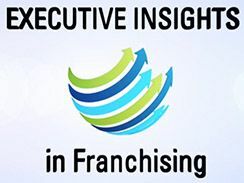 This session will provide franchise executives with fundamental tools and techniques to strengthen their current franchise relations program and fresh insights into building a healthy franchise culture with high levels of franchisee satisfaction. Steve LeFever is a national leader in the development of practical financial programs and training for the independent business community. 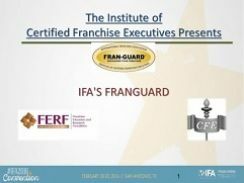 Fran-Guard - IFA Franchise Sales Management & Compliance Program - Online On-demand Webcast 2016 - New and Updated! The International Franchise Association has partnered with experienced legal counsel to offer the Fran-Guard Program. Previously hosted in several cities throughout the U.S., this convenient, new video webcast version is just like being there.